"If you want to run fast, the saying goes, you've got to run fast", so says Cindy Kuzma at runnersworld.com repeating a common phrase you have probably heard before. The reason you have heard this before? Because it's true. One of the quickest ways to get fast is to incorporate high intensity interval training (HIIT) into your training. According to Kuzma, most running HIIT workouts are 10-60 seconds long and then are followed by a rest period that is 1-4 times as long as the active period. For example, if you sprint for 30 sec, you should then rest for 30 sec - 2 min before the next sprint. You need to be recovered enough to do the next sprint with proper form and high speed. Kuzma got with Joe McConkey, M.S., an exercise physiologist and coach at the Boston Running Center to come with 3 awesome HIIT workouts. Below is one of the three, called On the Track. We highly recommend you follow this link and read the article in its entirety as it is very informative to anyone looking to increase their running speed. Also, the other 2 workouts are equally impressive and can be found in the article as well. To time HIIT workouts, using an interval timer is best. All three of these interval workouts by Kuzma, McConkey, and RunnersWorld.com can be timed easily using your Gymboss or miniMAX timer. 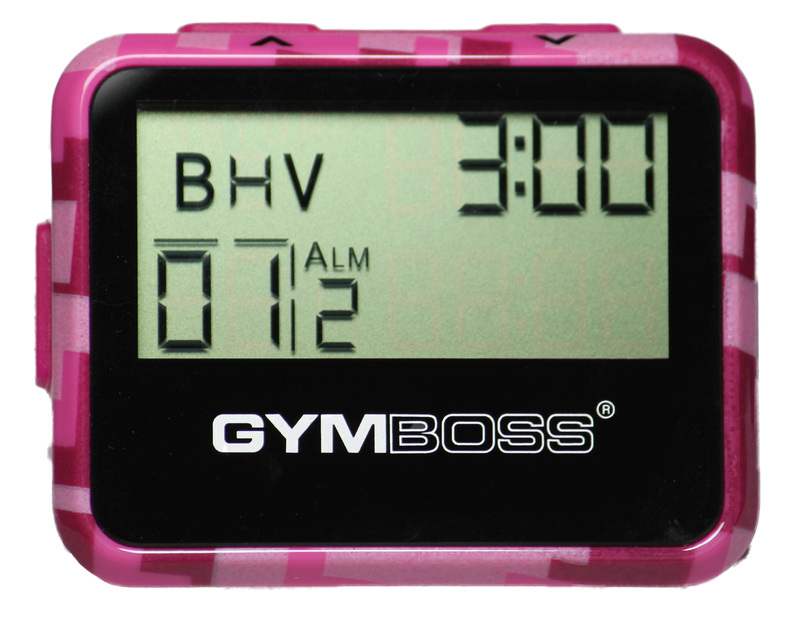 See how to program your Gymboss for all 3 workouts below. "High-intensity track sessions move the muscles through the full range of motion, improving elasticity and enhancing coordination between your nervous system and muscles. With time, you'll develop a more efficient stride at all your paces, says McConkey." HIIT IT: Begin with two 100-meter accelerations that include 40 meters at top speed, with two to three minutes of walking or jogging between. Build to 6 x 150 meters hard, including 80 meters at top speed, with three to four minutes jogging or walking rest. Over time, increase the number of repeats to 10, lengthen reps to 300 meters (running nearly the entire distance at top speed), or reduce the rest interval to one minute. 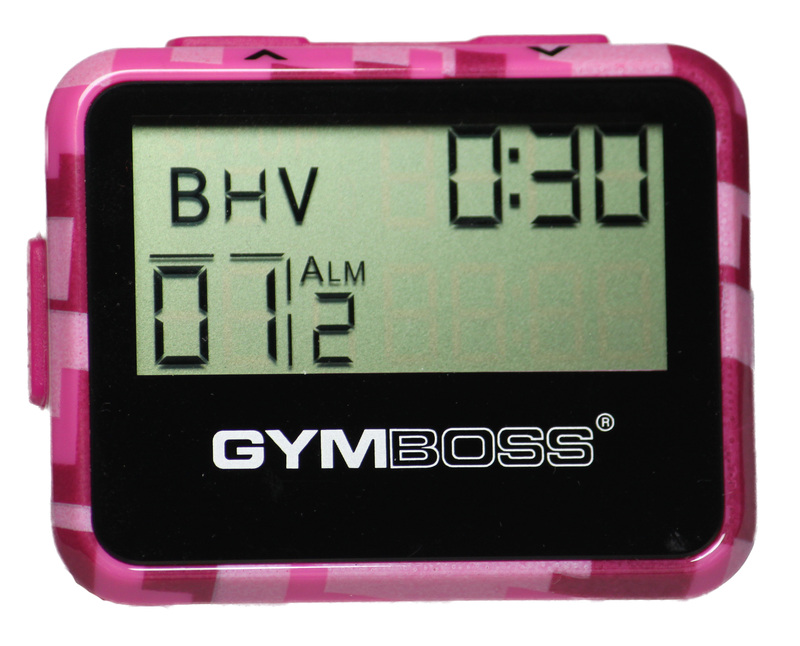 ON THE TRACK: Use your Gymboss to time your desired rest interval, in this case 3:00 min. After each sprint is completed, click the Start button to start timing the rest period. When it beeps/vibrates, it’s time to do the next sprint. ON THE TRAILS: There are 4 example workouts in this section. To time the beginner phase of this workout, set your Gymboss for two intervals of 3:30 and 0:30 sec for 5 rounds. This is a 20 minute total workout incorporating 5 sprints of 0:30 sec. ON THE HILLS: There are 3 example workouts in this section. 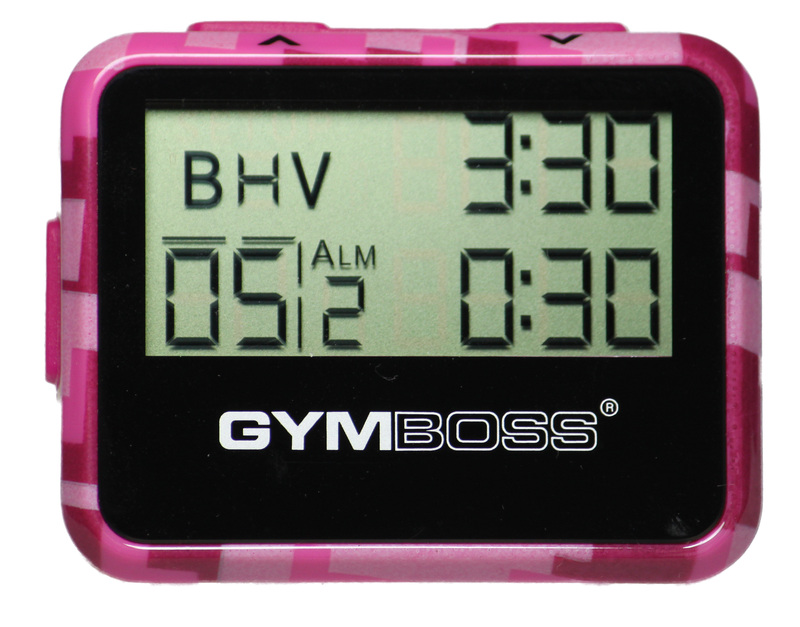 To time the beginner phase of this workout, set your Gymboss for one interval of 0:30 sec. Push the start button to begin timing and run up the hill. When the timer beeps, turn around and walk back down the hill to the beginning. Repeat this three times, or as many times as you desire, pushing the start button each time to beginning timing the run up the hill.